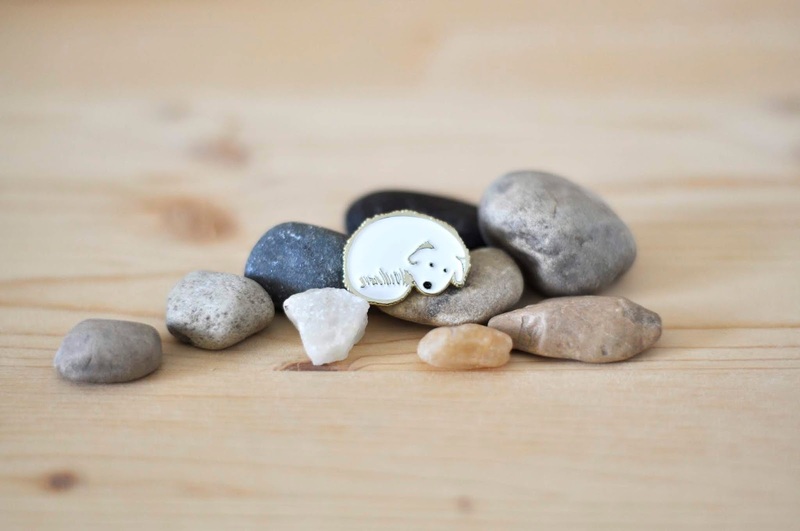 At the beginning of October, this little guy made the jump from the page to your lapel, tote bag, etc. 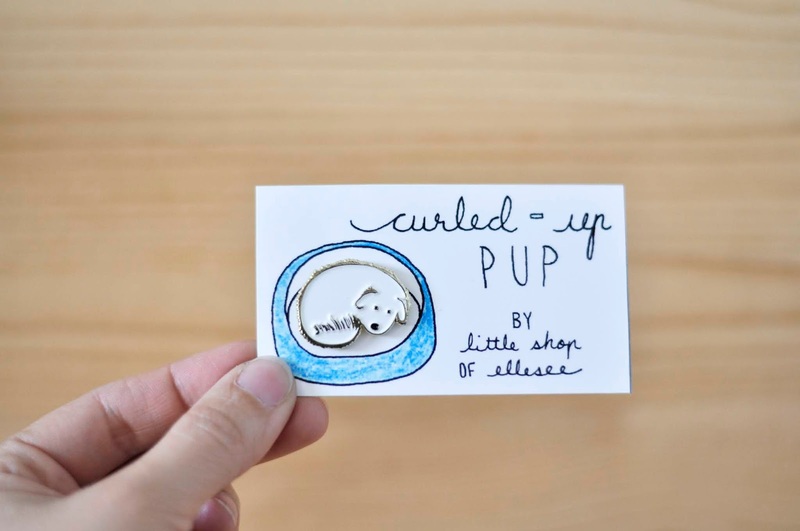 when we released a soft enamel pin of our little logo, the Curled-Up Pup. You can find it here in the shop. Just as with our art print, $1 from your purchase of this little fellow goes to our local SPCA where our real-life curled-up pup was adopted into our family over 12 years ago. This brooch was made by a company in Toronto named Artik. It is a soft enamel pin, with white and black paint and bright brass metal, that has a brass clutch back clasp to help keep it in place.